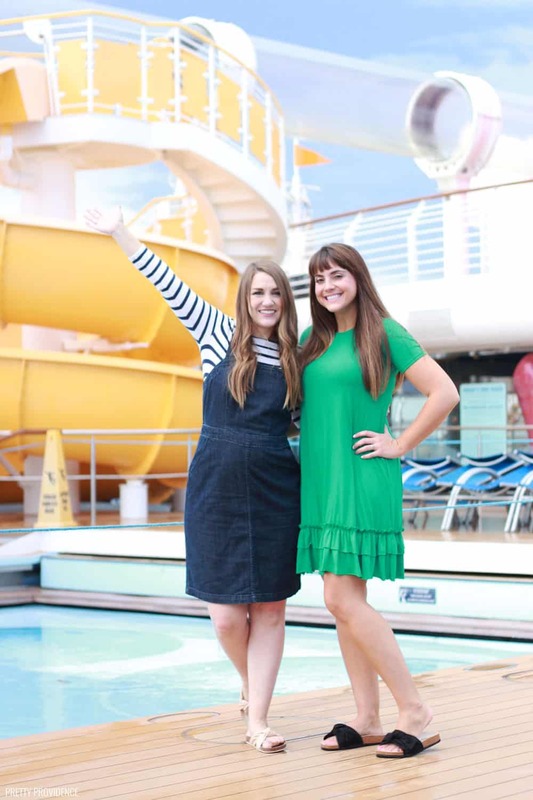 Thank you to Disney Cruise Line for inviting us aboard the Disney Dream! As always, the opinions and text in this post are all mine. 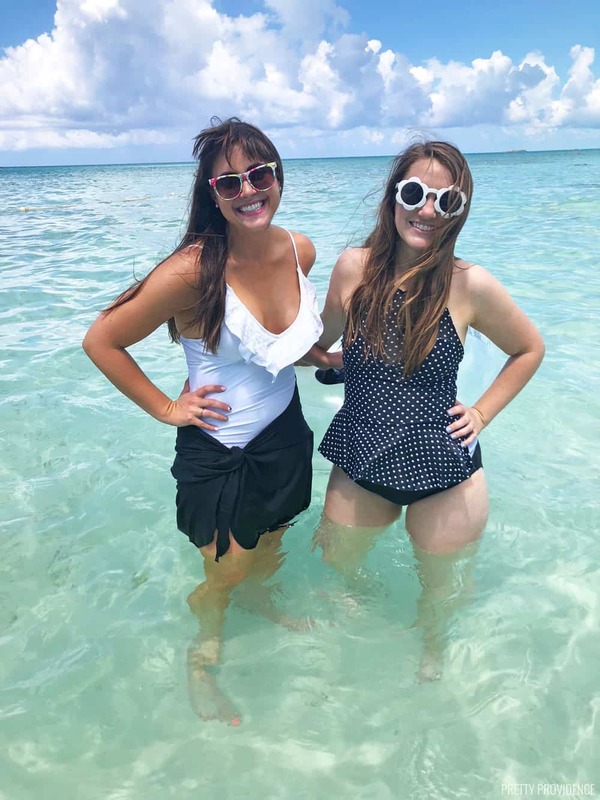 How do I even start to explain how amazing our 4-night Disney Cruise to the Bahamas was? I can’t decide what my favorite part was. It was non-stop fun and Disney Magic the whole time. Disney Cruise ships have something for everyone. It’s perfect for families with kids – whether they are little or big. 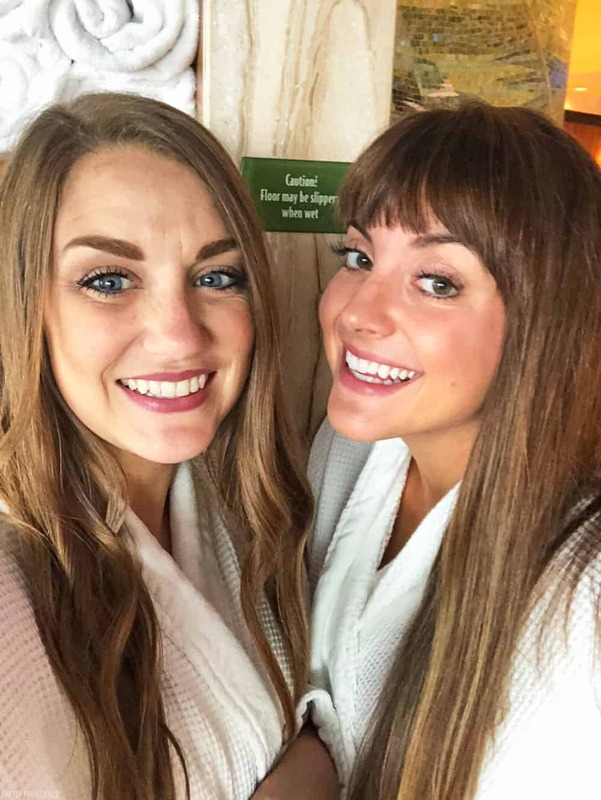 It’s also great for adults – we did not bring our kids this time, we made it a girls trip, and we loved every bit of it! We’d been talking about doing a girls trip for years, and spending time just hanging out together was sooo fun. We did miss our kiddos though, especially when we saw all of the adorable little ones dressed up for Halloween and Pirate Night, or in their Princess costumes after a makeover at Bibbidi Bobbidi Boutique! One thing I know is that there is no wrong way to take a Disney Cruise. We are dying to take our both of our families on one very soon! 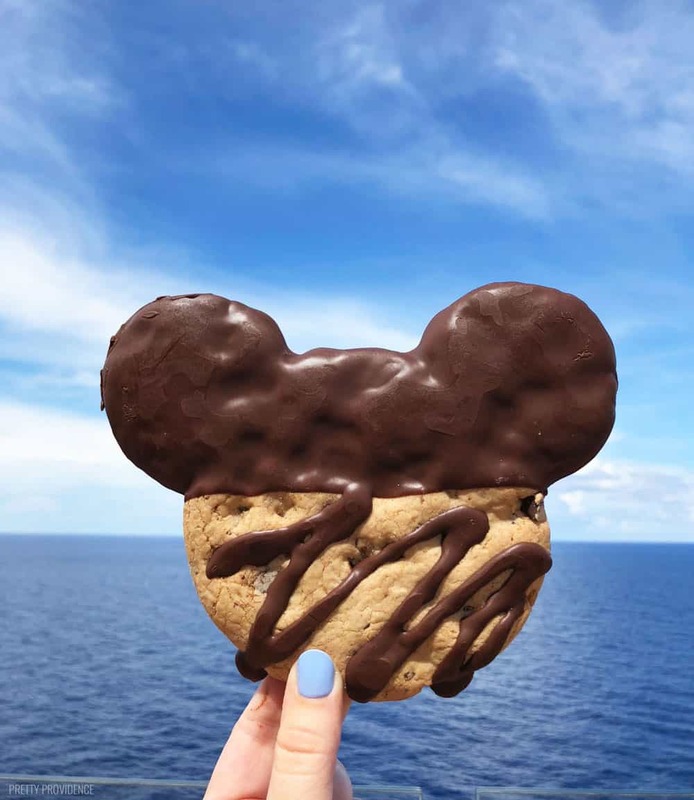 Today I’m sharing some of our personal experiences aboard the Disney Dream and TONS of Disney Cruise tips and info! We ate lunch as soon as we boarded, and then toured the ship. 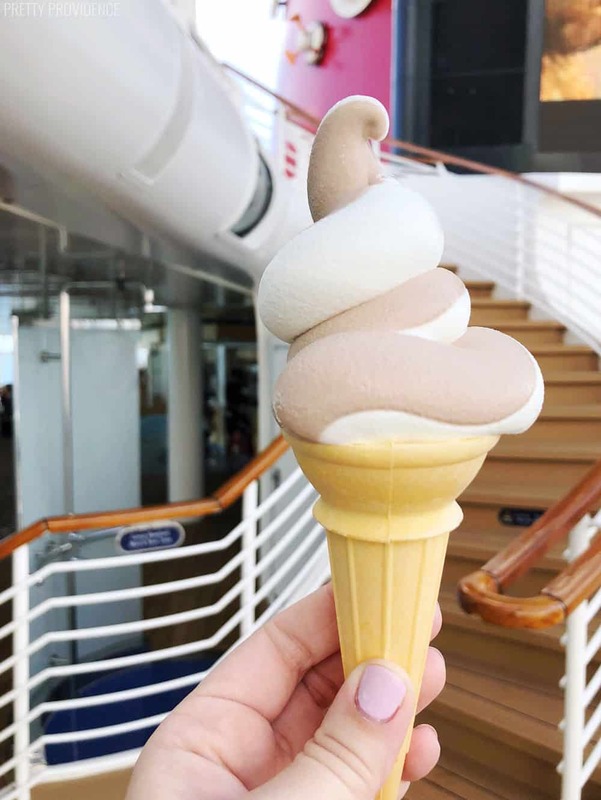 There was a sail away party on the deck, and we kicked off the cruise with our first soft-serve cones!! Later we went to dinner at Animator’s Palate and to the Buena Vista Theater to watch Christopher Robin. Bring a backpack or duffel bag with whatever you will need for the first part of the day. You can get into your room, but your luggage won’t arrive til later in the afternoon. You will want to have a swimsuit, toiletries, medications and your ID’s with you in the bag you board with. If you board early, you can take advantage of less people at the pool and a shorter line for the AquaDuck! I love the Buena Vista Theater. It’s a movie theater on the ship where they show first-run movies. Anything Disney that is currently in theaters will be playing there. It’s so fun! This cruise we watched Christopher Robin and Ant Man & the Wasp 2. Back in February, my husband and I watched Black Panther and Solo. You can bring your own snacks and drinks in! They charge extra for the theater snacks, but you can grab a soda upstairs and something at Cabanas or Vanellope’s to bring in with you. 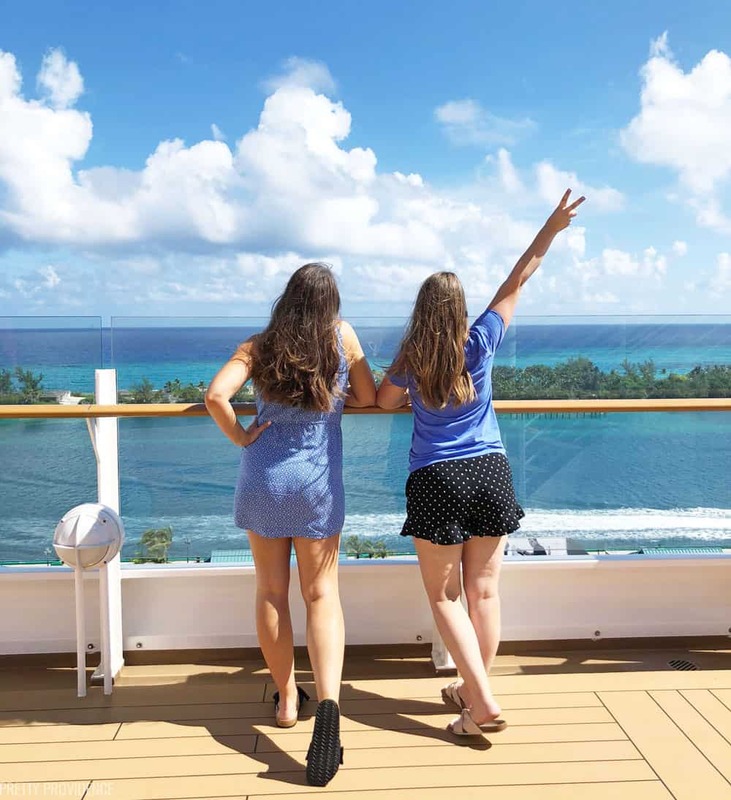 We loved waking up to the amazing view on Nassau! The blue water all around is incredible. It looked like there were some fun excursions to do, but we really wanted to relax by the pool and read, so we decide to stay on board. There were so many fun things going on for Halloween on the High Seas later that afternoon, too. I guess a lot of people had the same thought, because the pool deck was packed! 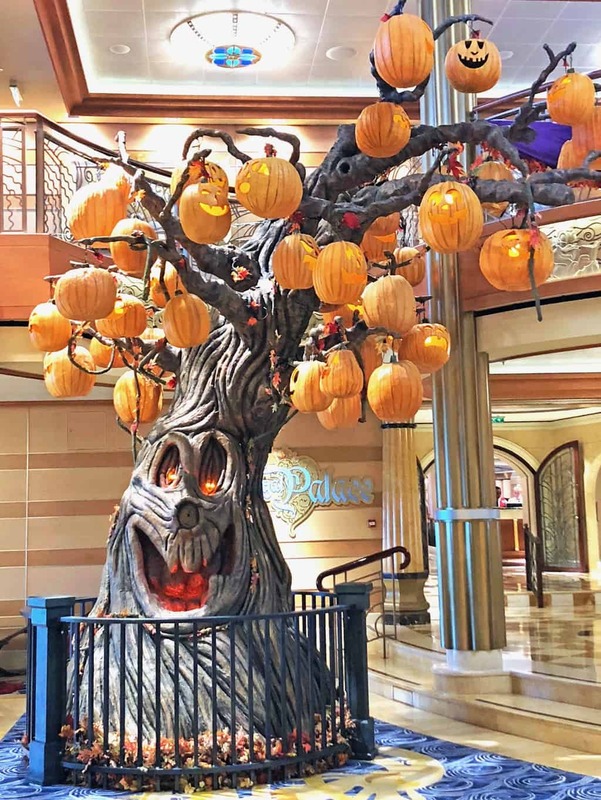 In the afternoon there were Halloween activities happening all over the ship. Everyone got dressed up in costumes. We decided to be sailors because, well, we were on a ship and it just felt right. 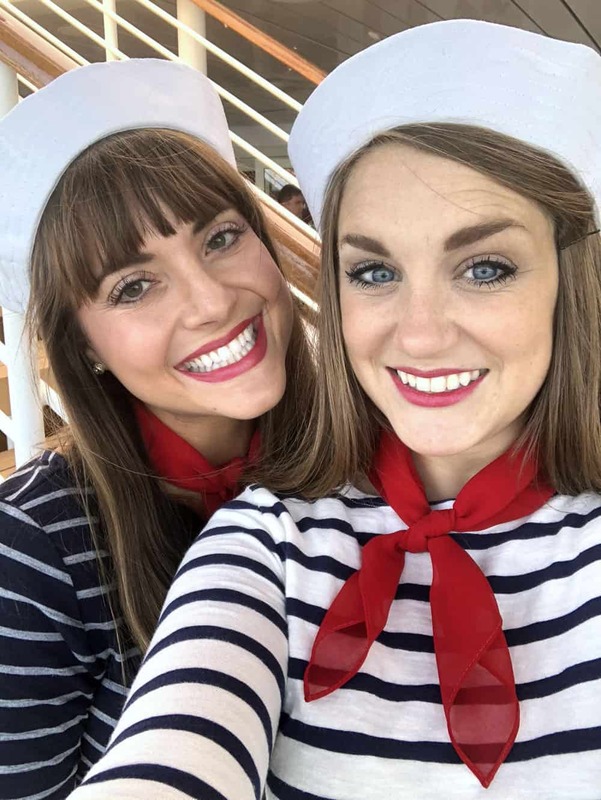 You can read more about our easy sailor costumes right here. Mickey’s Mousequerade party was so fun and all the characters showed up to the parade and dance party! There was trick-or-treating for the little ones and lots of fun games to play. Later on, there were Halloween parties in the adult section, too! Bring a costume and take advantage of the fact that you get to celebrate Halloween twice in one year! After all of the Halloween fun, we went to Vanellope’s Sweets and Treats and did the Ralph’s Family Challenge. 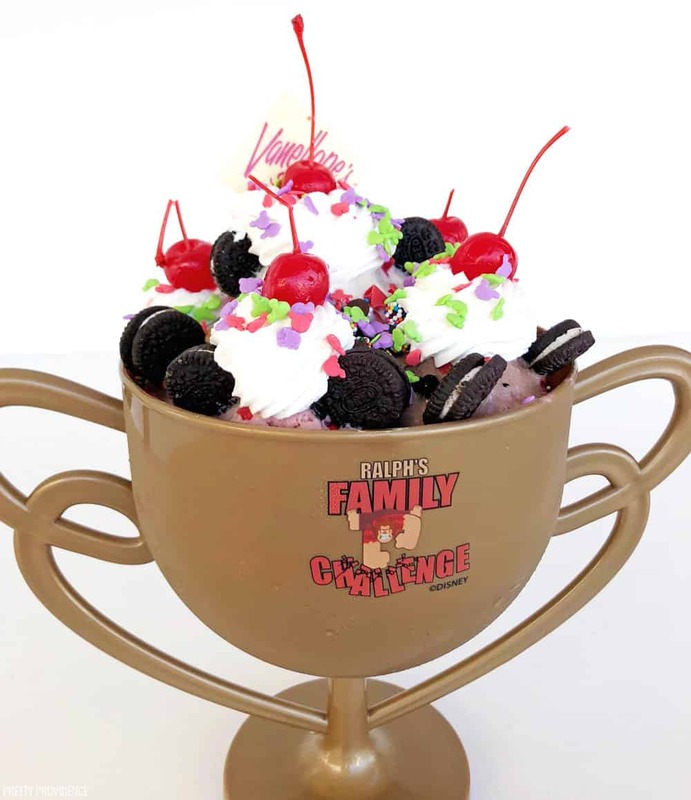 Ralph’s trophy is filled with 6 scoops of ice cream, six toppings, whipped cream, and topped with cherries. With three of us, we ate about half of it. My favorite flavor was brownie batter, but they were all amazing. 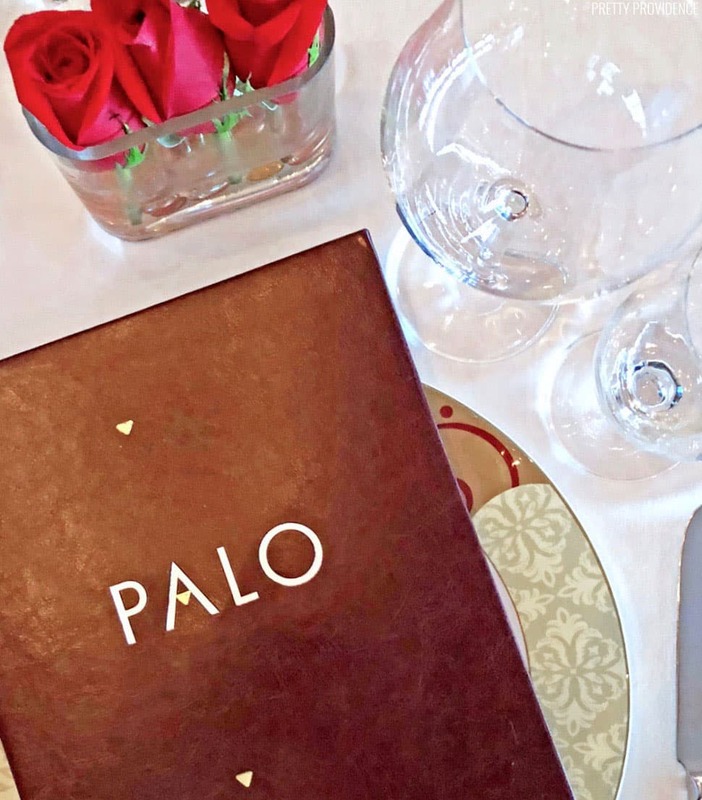 Our dinner at Palo was unforgettable. Palo is an adults-only exclusive restaurant that serves Northern Italian food. It costs $30 per person, and I cannot stress enough how great a price that is for the amazing dining experience you will have. I didn’t get any food photos from Palo, it was already dark when we got there. 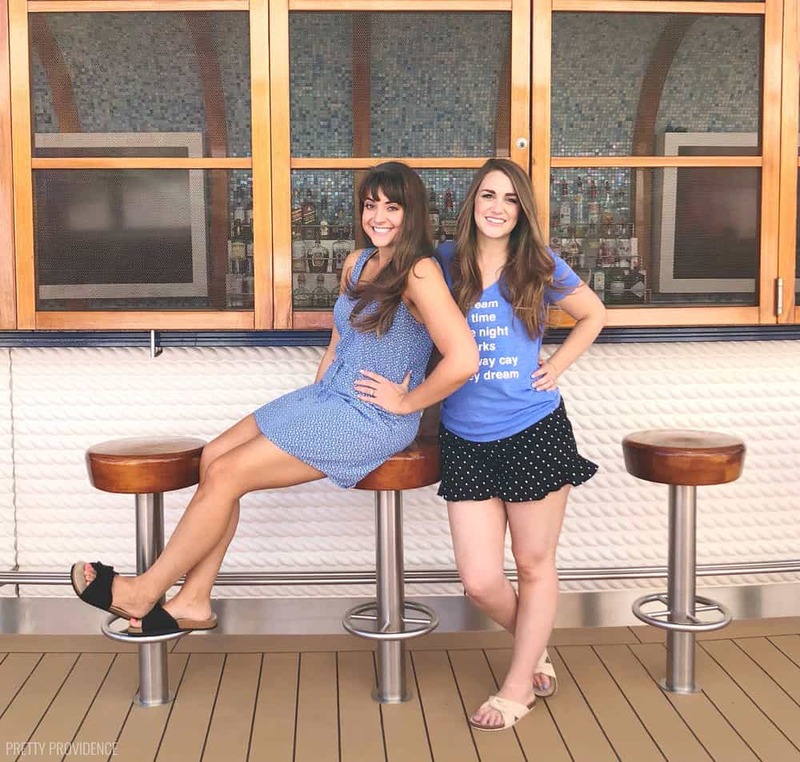 Go look at our friend Jamielyn’s recap of the cruise for some mouthwatering pictures! You can make one reservation prior to your sailing. Make sure you pack nicer clothes and shoes if you want to eat here. There is a dress code – collared shirts for men and skirt, dress or dress pants for women. Also – don’t skip the chocolate soufflé! It was maybe the best dessert I’ve ever had! 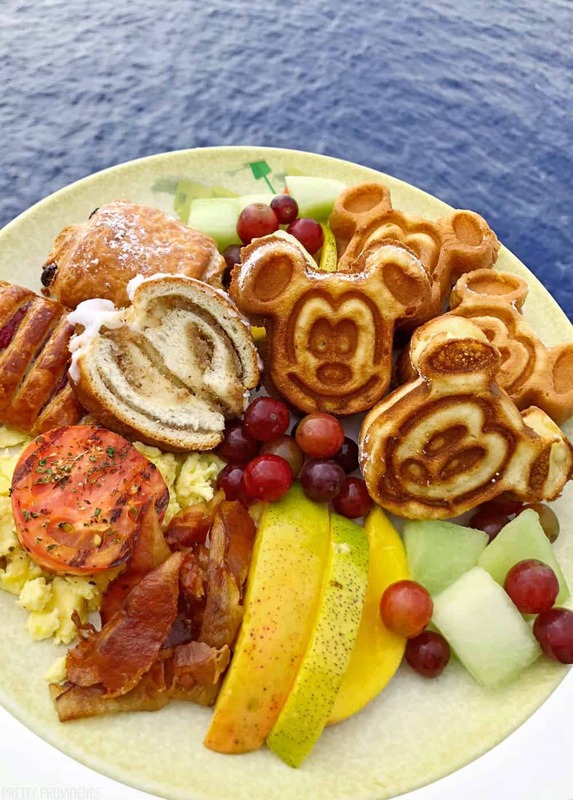 Thank goodness they share the recipe on the Disney Cruise website… maybe I’ll try re-creating it at home. We woke up to paradise again. We ate breakfast at Cabanas and headed off the ship to hang out at the beach. 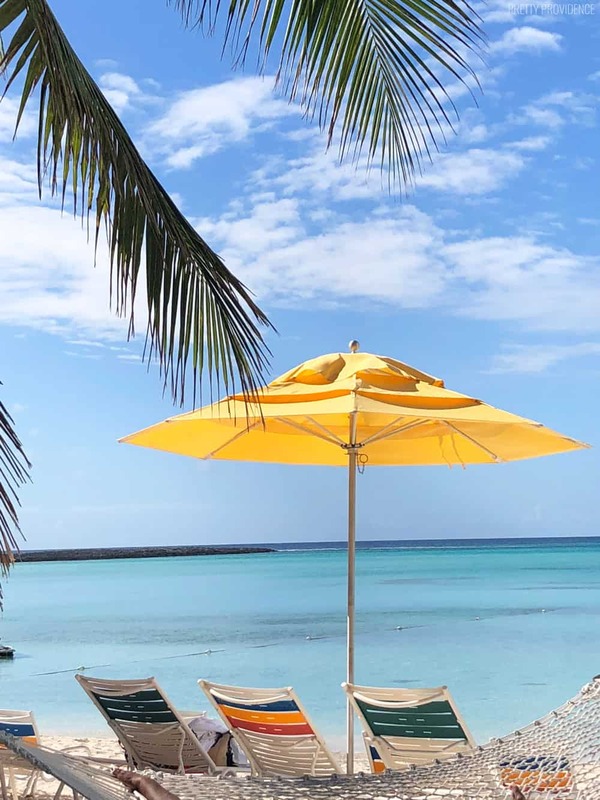 A day on Castaway Cay is EVERYTHING you want in a beach day. 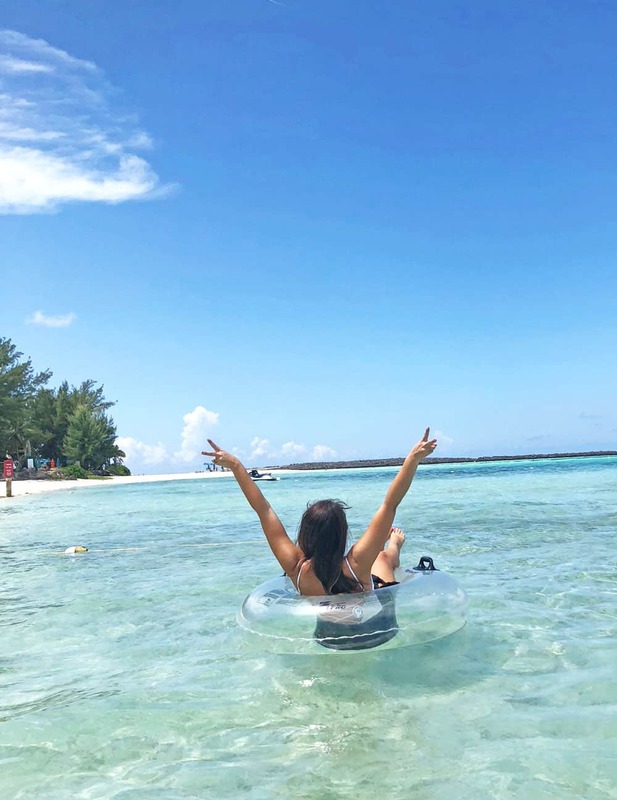 It is one of the very best perks to a Disney Cruise to Bahamas. You step off the ship, and you are just a few minutes away from the beaches. There are three different beaches, but all of them are close. Serenity Bay is the adults-only beach on Castaway Cay. It’s calm and quiet, with most people reading or floating around in the cool water. It is literally my happy place. Check out the video to see just how beautiful it really is. We spent most of the day floating around in the water and hanging out on the beach chairs. Jess was reading and I listened to a podcast. Later in the afternoon, we rented bikes and took a little bike ride around the island. This day was the stuff dreams are made of. Don’t forget sunscreen, sunglasses, and maybe a hat! A stainless steel cup to keep water or soda cold will also come in handy. They have small cups at Cookies BBQ or Cookies Too that you can fill up while you eat lunch, but the beach will make you thirsty, and you’ll wish you had a bigger one to take back with you! Every Disney Cruise has a Pirate Night! The ship comes alive with guests decked out in amazing costumes and the show with fireworks later in the night is spectacular. I wrote a blog post about Pirate Night and my DIY costume which you can read right here. On our cruise, Pirate Night was the same day as Castaway Cay. After we got back on the ship, we took a little nap in our stateroom and then got dressed up like pirates. We headed to our dinner at Enchanted Garden, which was so fun. Even the waiters were dressed up! Later that night went up to the deck party to watch the show and fireworks! We grabbed an ice cream cone on our way. When on the pool deck, you get ice cream. Bring your own costume, and don’t be afraid to go all out. 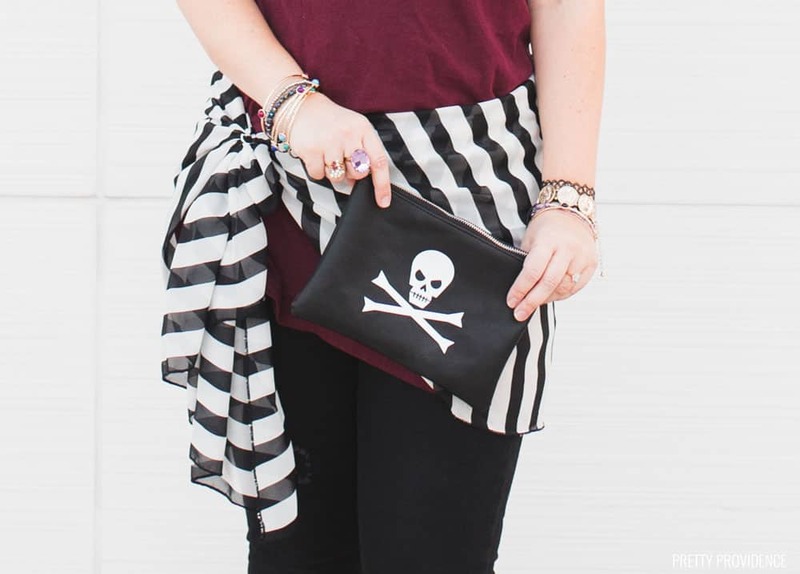 Be dressed like a pirate by about 5:30 pm (before dinner) or you might miss out on some of the fun! We slept in, ate breakfast and enjoyed the view and being surrounded by the ocean. This was a lazy, relaxing day and it was glorious. We read by the pool in the morning, went to The Rainforest at Senses Spa, had lunch, went on the AquaDuck, and then hung out on the pool deck again until dinner time! The Rainforest is a section of Senses Spa that has aromatherapy showers, saunas, a steam room, heated stone loungers and hot tubs that overlook the ocean! There is calm, relaxing music playing and everyone is quiet. Plus, you get to wear comfy white robes and slippers while you go between the rooms. My favorite thing was the heated stone lounger. Best nap I’ve ever had. Tip: You can book a rainforest pass before you go, or head to the Senses Spa open house on your first day on the cruise. You can book the pass for either a day or for the length of your cruise. It is $16 per day and SO so worth it. Dinner was at Royal Palace, and I had a creme bruleé dessert that I’m still dreaming about. After dinner, we found our way over to The Walt Disney Theater to watch Beauty and the Beast! The show was unreal. The actors were so talented, and the music amazing. 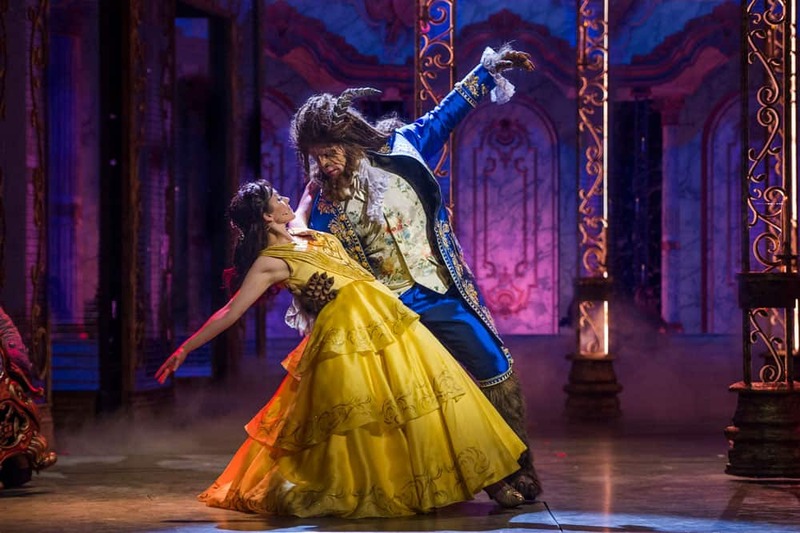 I was also blown away by the gorgeous set, effects and the costumes! Every detail was on point. Do not miss this show, and arrive early! There are two performances of each show. Our show began at 8:30 but we were lucky to have been tipped off that we should be there at 8:00 so we could get a great seat as soon as the doors opened. I am so glad we did that! The food on Disney Cruise Line is really good. 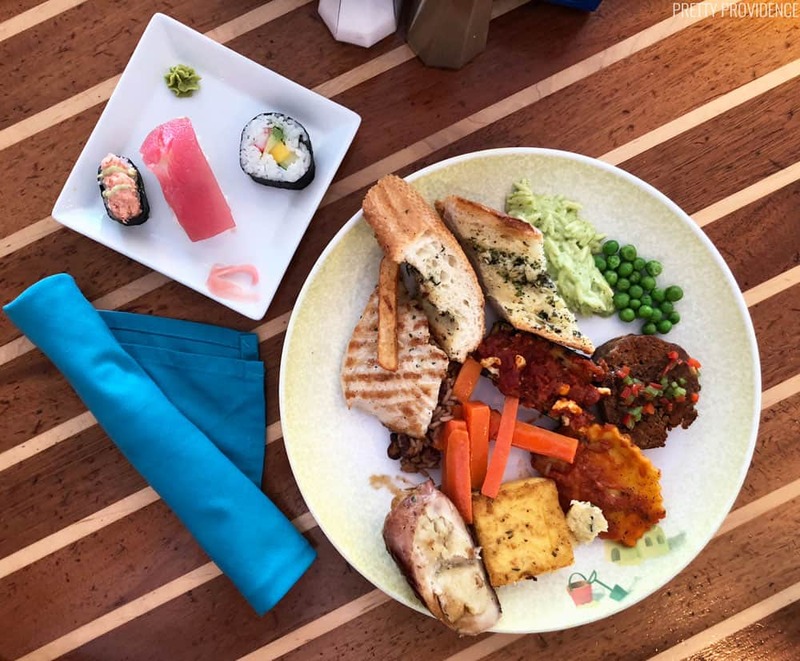 We usually ate at Cabanas for breakfast and lunch and then we rotated through each of the three main dining rooms – Animator’s Palate, Enchanted Garden and Royal Palace for dinner. Even though you switch dining rooms every night, you have the same serving team. They greet you by name and ask you once for your drink order, after that they remember it! Our servers were delightful and so friendly. They showed us magic tricks while we waited for our food, and I know that if you have little kids the waiter will cut their food up so that Mom and Dad can eat! This is just one example of the kind of service you receive on a Disney Cruise. Everything has been thought of, and they always go above and beyond! I am always shocked at how much I love the food at Cabanas – it’s something else! There are so many good things to choose from: awesome salad bars, fresh fruit, roasted meats, shrimp cocktail, pasta – literally anything you could be craving, and it’s all really high quality. Ice Cream is aplenty on the pool deck. 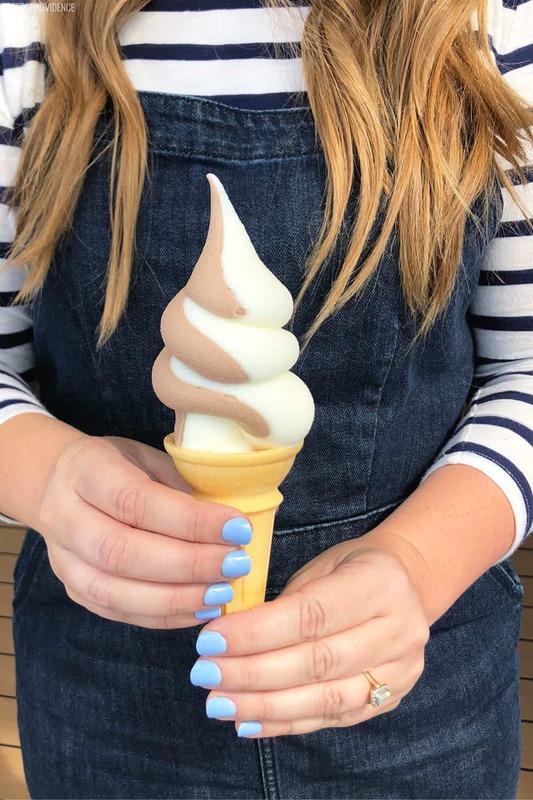 Eye Scream and FroZone Treats have soft-serve machines where you can make your own cone, order a smoothie or, this is important, you can get a Dole Whip here!! Vanellope’s is a treat shop, serving up ice cream, gelato, awesome cupcakes, cookies and candy. There are tons of different treats to choose from! I especially love the ice cream and gelato. 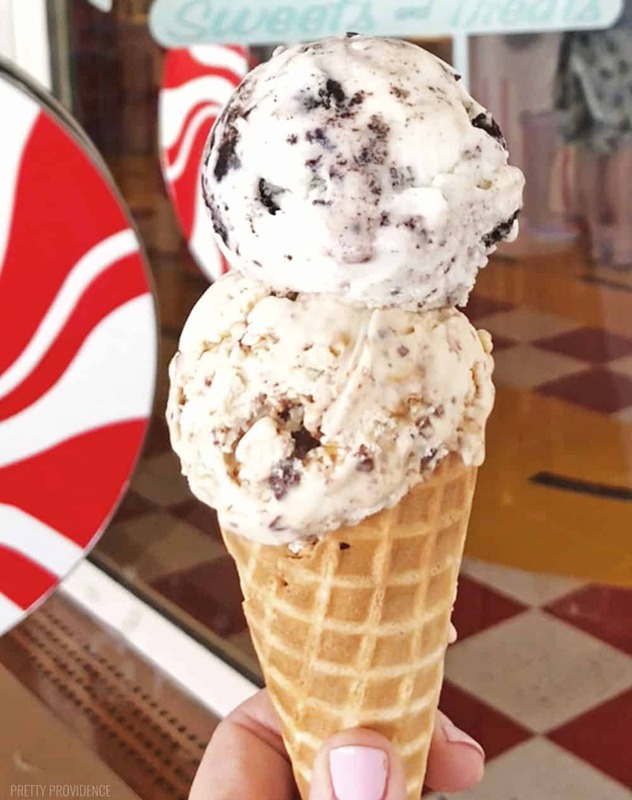 Vanellope’s sweets are not included in the cruise fare, but it’s totally worth it to get a scoop while you’re on board! This was one of our favorite activities on the ship! All crawling babies can enter in Jack Jack’s Incredible Diaper Dash. It is every baby for him or herself on a 20-foot long padded track. Spectators gather around to cheer them on, and honestly, most of them have no idea they are supposed to do, they are just interested in the all the people cheering them on. It’s the cutest thing EVER. Take advantage of all the character experiences on the ship! This is one of the most fun parts of a Disney Cruise, and lines are much shorter than at the parks. You can sign up for special meet & greets, and it’s free but tickets are required. On our cruise there was a Princess Meet & Greet and one with Frozen characters! 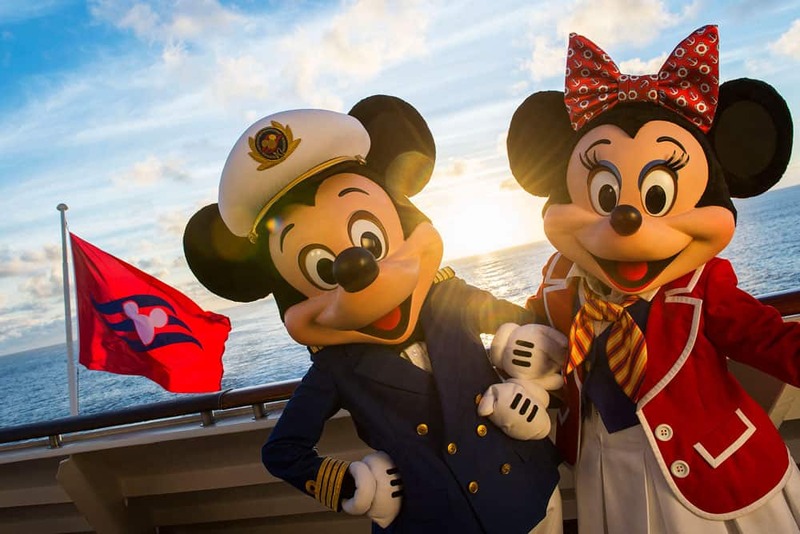 You also will see Mickey Mouse and Minnie, or Goofy and Daisy hanging out on the pool deck or taking pictures by the ship when you disembark. I love trivia, and there were lots of fun themed trivia to go to on the Dream! My favorites are the music trivia, all different decades. The 90’s and 2000’s trivia games are my jam but they’re all fun! There’s also Disney music trivia, and pirate trivia on Pirate Night. The AquaDuck is a waterslide that is elevated over the pool deck. You ride on a two-person raft and it’s super fast and fun. It’s clear so you can see everything around you while you’re speeding through the tube. I love it! 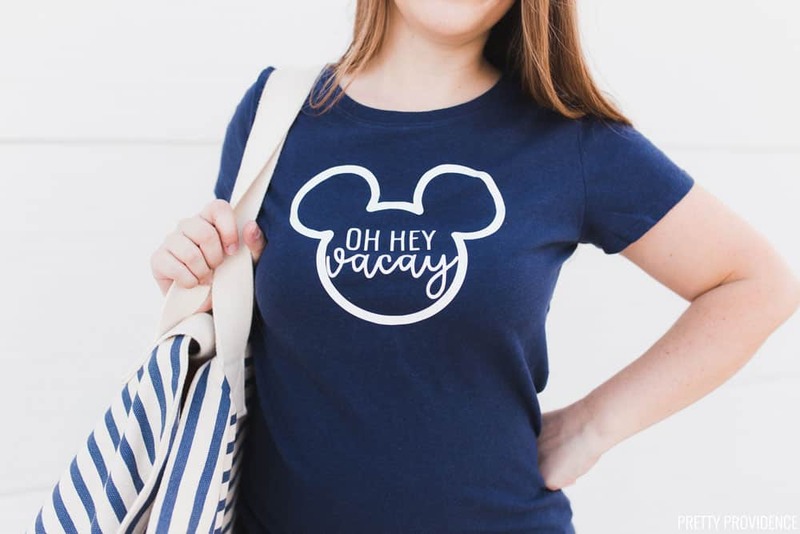 Make some cool t-shirts and mickey ears! 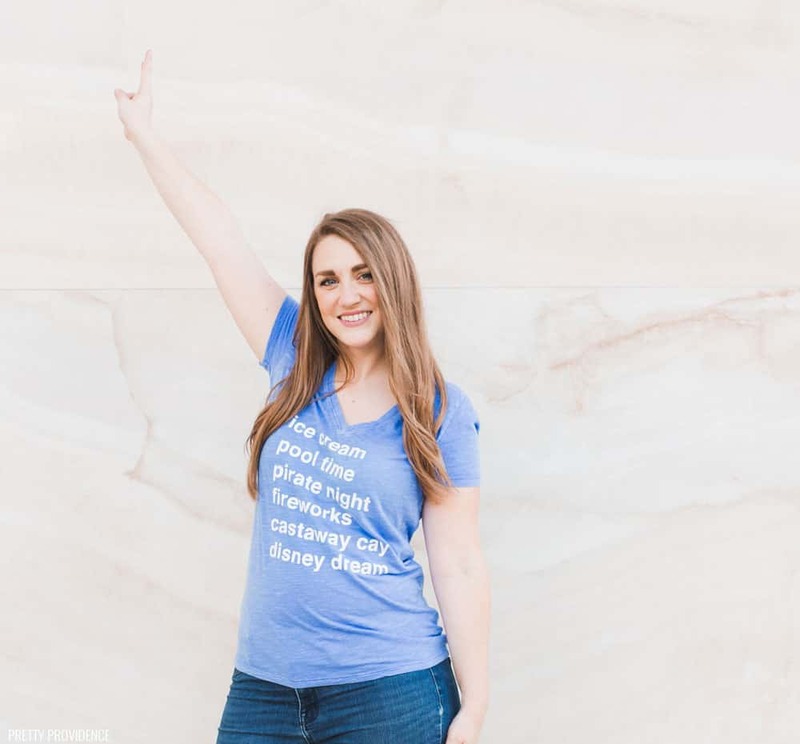 This is optional, but it was really fun to have these DIY Disney Cruise t-shirts and I got SO many compliments on them throughout the cruise. The crowd favorite was definitely the list style shirt. We also rocked my DIY ears on the first day – and we weren’t the only ones rocking ears. This was a Disney cruise after all. Room service is available 24-7 and is included with your cruise fare. Don’t feel like heading up to the buffet for breakfast? You can order Mickey waffles to the room. They also will bring you one of those iconic Mickey ice cream bars if you ask, even though they aren’t on the menu! Check the Disney Cruise Navigator app as soon as you get on the ship to see what activities will be happening on which days. You can add things to your personal schedule and set alerts so that you don’t forget when they’re happening. Time does get away from you when you’re having non-stop fun, so this helps a lot! A great tip I learned for finding my way around the cruise ship was how to tell which direction you are heading in the stateroom hallways. It takes time to get used to which way is Forward and which way is Aft. However, there are nautical stars on the carpet in the hall. The top of the star point forward, and the two points at the bottom of the star face aft. Follow the stars! I have never been motion sick on a cruise, but Jessica tends to get motion sickness. 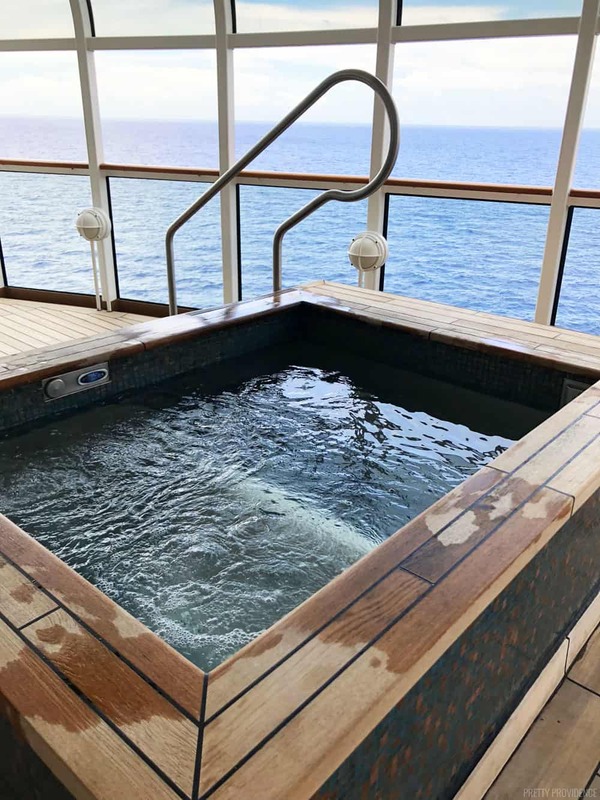 She had never been on a cruise before and wanted to cover her bases and prevent nausea, so she called her doctor and got some motion sickness patches. They worked amazingly well for her and she didn’t feel sick once! A lot of people also bring along dramamine and sea bands. I asked on instagram stories if anyone had questions about our cruise. I thought it might be helpful to share some of the questions and answers here too, in case any of you are wondering the same things! What can we do onboard with a 2 year old? There are so many things you can do with a little one! There’s Nemo’s Reef – a splash pad especially for the little ones. There’s also a family pool area, playtime at the It’s a Small World Nursery and so many fun characters to meet. If I was going to take any vacation with a toddler, I’d make it a Disney Cruise. I have to go with Palo (the whole thing), ice cream from Vanellope’s, and the coconut rice pudding at Cabanas. I’ve been dreaming about it! Every meal delivered something amazing, though. It’s a food-lovers paradise. How many people can sleep in a stateroom? Each stateroom can sleep up to 4 people. We had a Deluxe Stateroom which has a full-size bed, a sofa that turns into a twin bed, and also the option of a pull-down bunk bed. It is 225 square feet but there is plenty of space under the bed and in the closets to keep your luggage so it doesn’t feel crowded! Most staterooms on Disney ships feature a split “bath-and-a-half” design. There’s a sink and tub/shower in one room and a sink and toilet in a separate room – and both bathrooms have mirrors! This is sooo convenient especially when more than one person wants to brush their teeth and get ready. 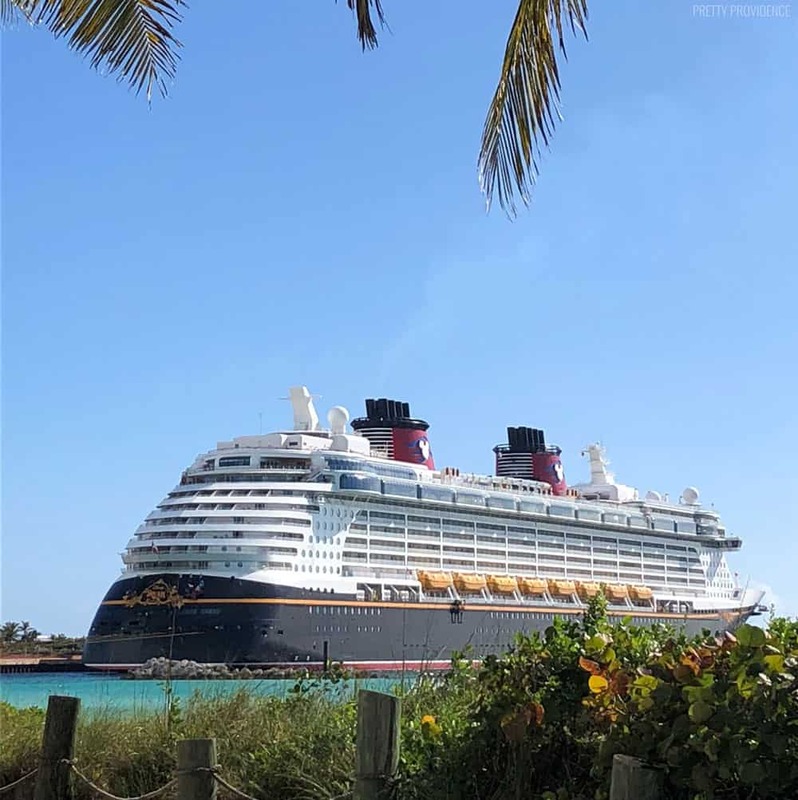 Are you planning a Disney Cruise soon? I can’t recommend it enough. Best vacation ever! This looks like so much fun! I had no idea Disney has a private island either – it looks gorgeous and very private too! What a fun time! i’ve never been on a cruise but i just might have to go on one now! What a dream trip – looks like a total blast! So many great cruise tips! I bet the shows are amazing on a Disney cruise! Your trip Looks amazing! Thank you for allthe cruise tips! !